This blog was written based on an academic article to be published by T. Bayartsetseg and Dr. Margot Rawsthorne in 2019. Bayartsetseg is a doctoral student at the Department of Social Work and Social Pedagogy, Ghent University, Belgium; lectures in social work at the National University of Mongolia; and is a paired researcher with Dr. Rebekah Plueckhahn on the Emerging Subjects team. Dr. Margot Rawsthorne is an Associate Professor and lectures on community development at the University of Sydney, Australia. 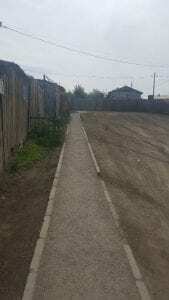 A couple of years ago, a story of a teenager who has been cleaning the Selbe river bank voluntarily after his class hours was circulated on mass media. The story was widely spread from TV interviews to the Mongolian Ministry of Environment and Tourism as an exemplary civic contribution to environmental well-being. Driven by a personal aspiration to create a recreational spot in a one of the ger districts, another man turned the dumpsite in the ger district of Chingeltei into an artificial pool where children can steer small boats for a small fee. More similar homegrown, communitarian examples are emerging particularly as Ulaanbaatar is becoming a more divided city with contestations over land. Today the growth of ger settlements surrounding the capital Ulaanbaatar is a striking illustration of social and spatial polarization similarly found throughout East and South East Asia . With increasing urban poverty (up to 40% of the population in ger district areas) and other pressing issues such as air pollution and health threats, the Mongolian national government has been narrowly focused on these issues with less attention being paid to the potentials of citizen driven initiatives . Whilst it is must to focus on these pressing concerns, a more localized, nuanced political perspective provides much more hope. What is at stake for the ger district residents is their ‘right to the city’—a demand for political, social and economic recognition . In addition, in the case of research conducted by the authors, more participatory habits and autonomy among the public is critically needed for more effective democracy. These demands appear to be rising through citizen groups and citizen actions in ger areas. People know more about financial saving groups in disadvantaged communities in Mongolia even though it is only one stream of citizen group activities in our country. ‘Citizen groups’ exist either as non-governmental organizations (NGO) or as cooperatives because their status is not yet legally determined. But it is definitely emerging as a form of civil society organization (irgenii niigem or ‘civil society group’ as we may call it in the future) in both rural and urban Mongolia. Citizen groups are less formal—similar to community-based organizations found in some other countries—and are marked through the possibility of receiving small grants through the Mongolian government’s Local Development Fund based at the respective sub-district administrative unit (or horoo in Mongolian). It is also common that they receive small-scale funds from international organizations for micro-scale environmental and infrastructural actions. In rare cases, they raise funds from its members as monthly donations. Membership is open for everyone in the neighborhood, but women dominate the membership overall by up to 80 percent. Forums, networks, councils and coalitions have started emerging in the civil society spheres of Mongolia for more ethical, collective and collaborative responses to social issues . The development of self-help groups, community development associations and other groups specifically for demographic variations such as women’s, children’s and elderly groups have been emergent in several other countries within Africa and Asia . Taylor and Mackenzie (1992), for example, highlighted that citizen group activities and micro management of community resources (particularly through various income-generation activities and savings groups) brought better results in comparison to any other anti-poverty interventions implemented by the governments of Tanzania and Kenya . Image 1: Footpath built by a citizen group in Chingeltei district funded by the Mongolian government’s Local Development Fund. Photo by Bayartsetseg, T.
From a critical perspective, more research-founded elucidation is needed in order to reveal the multiple functions, classifications and possible contributions of civil society organizations to contemporary Mongolian society. Bumochir Dulam has noted that Mongolia lacks consistency in understanding the content and application of the term ‘civil society’ despite the fact of this term being widely used in social and political discourse not only in Mongolia but also in many other countries worldwide . This is also the case with citizen groups as its members are challenged and asked by public executive bureaus what they mean by ‘citizen group’ when they approach bureaus for support and collaboration. In other cases, they can be a target of suspicion as a group of constituents representing a politician or a political party. The law on NGOs in Mongolia, approved in 1997, does not specify community-based organization or citizen groups in its provisions. In addition, there are fewer local NGOs that support community initiatives compared to those that work in more mainstream areas such as child protection, gender issues and violence against women. In many cases, the idea was initially introduced by international donor organizations such as UN Habitat in Mongolia, however, there are many local ideas and initiatives that are growing as part of greater aspirations to bring about change in peoples’ living environments. However, regardless of the concept’s origin, citizen groups are becoming an undeniable part of emerging civil society in addition to more formal NGOs and cooperatives to support the community from grassroots level. In this timely moment of discussion to amend the law on NGOs in Mongolia, citizen groups are a form of social organization that needs to be considered, so that they can further develop legally, financially and structurally as a valid form of civic engagement in development. As a survival strategy, most capable citizen groups try to register themselves as NGOs as it allows them to participate more in community initiatives and contribute to development on a micro-scale. Funding remains to be an influential factor for sustainability of these citizen groups as there are many cases of groups dying down after the initial excitement of donor organization funding, or from the local horoo, has stopped. Behind the curtains of citizen group funding, the clandestine interests of parliament members, horoo officials and donor organizations compete to appropriate the name of the civil society group as a symbol of their democratic efficiency. In other words, citizen groups lack ownership (in addition to funding) over what they have achieved and what they are capable of. In general, as their status is unclear, discretions involving funding and the veiled interests of horoo level bureaucrats create challenges for citizen groups but also engender politics that can divide people in and between such groups. Image 2: Common fate of abandoned tags found in ger areas. On tag: ‘This stairway was built on the initiative of Bayarsaikhan Garidkhuu, a Member of Parliament.’ Photo by Bayartsetseg, T.
From a productivity perspective, the capacity of citizen groups is not only limited to micro infrastructural works because they can also play an important role in planning entire neighborhoods. One of the citizen groups in Songinokhairkhan district, for instance, drafted a comprehensive horoo development plan without the involvement of professional urban planners, which reflected their visions for small gardens, green areas, schools and kindergartens and even the location of their water well. The district mayor’s office endorsed the plan at that time, but, as is common in Mongolia, the effectiveness of the plan was reduced to a piece of paper when the local government structure changed with newly elected members. Another threat to such citizen driven initiatives is the politics surrounding local tender bidding for micro infrastructure development works. In some cases, tender offers from citizen groups were overridden by business entities although citizen group proposed the most cost-effective financial bid. 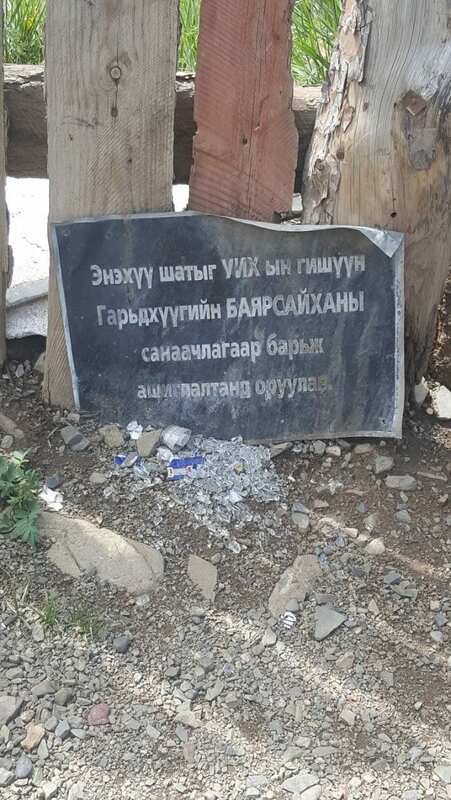 As mentioned above, ger districts in Ulaanbaatar have been predominantly framed within a ‘problem’ discourse, limiting its usefulness and generative scope for citizen participation. In other words, academic research has emphasized the fact that we tend to portray ger districts as a deficit area settled by in-country migrants with an increased necessity to develop infrastructure, to minimize health risks and to reduce the prevalence of crime and school dropouts . When boxed into a ‘problem’ discourse, it is common that people resignedly accept the current infrastructurally-poor living conditions and remain passive in community initiatives. Some may withdraw from organized activities aimed towards community improvement, presuming that they cannot do anything to eradicate problems faced in the district in any way. In other words, individuals start developing ignorance and using defense and denial as a means of coping . Ultimately, it becomes more difficult to recognize or foster organic or homegrown initiatives that emerge from local areas and easier to follow international practice suggestions. Returning again to the case of the aforementioned teenage boy and the entrepreneurial man in Chingeltei district, further cases such as these can spread when residents in disadvantaged ger areas share more common aspirations and collaborate with their horoos more closely. Many Mongolians currently desire a greater sense of political agency that can effect change from a personal to a collective level. This may sound idealistic, but we need a communitarian mindset to help promote such micro movements. When Mr. Bat-Uul was Ulaanbaatar’s City Mayor, the Mayor’s Office established around 10 working bureaus to cooperate with residents in peripheral ger areas (захирагчийн ажлын алба). Unfortunately, lacking ways and means to collaborate with its residents, the functions of those bureaus were unclear and staff motivation was low. This is because local civil initiatives in Mongolia are being hindered by the heavy focus on program implementation and management of welfare payments, as well as lack strategies to work with people and informal groups like citizen groups. Referring back to Lefebvre’s idea of the ‘right to the city’, the city has its own life, secrets and powers. In Ulaanbaatar, there is also a large amount of resourcefulness. We may need a paradigm shift from the dominant focus on planned physical structure to more flexible, inclusive and lively methods of mediating between different types of knowledge and strategies. In this effort, citizen groups are one of the social forces that play a pivotal role in invigorating ger areas’ liveliness and dynamics. The growth of citizen groups could be a way to trigger further citizen participation and community development in Mongolia in this moment of heated talk about civic engagement in development. Understanding what citizen groups are and how they function still needs further research. However, based on several successful cases, citizen groups can do more ground-up works to compensate ineffectiveness of government interventions particularly in peripheral ger areas if recognized properly. Linking citizen-driven initiatives to macro-level policy environment is vital if the government is to genuinely support citizen engagement in development. Indeed, the Government of Mongolia would benefit from cooperating with citizen-driven initiatives, where they can learn from their ‘insider’ experience as an essential step in curbing those critical issues. Fung, K., Craig, C (2017). One concept many practices: Diverse understandings of community development in East and South East Asia. Community Development Journal. 52, 1-9. Butler, C. (2012). The right to the city. In Butler, C (Ed), Henri Lefevbre Spacial Politics, Everyday Life and the Right to the City. Routlege, NY: USA, pp.143-159. Chen, Yi, Wen, Ku.Y. (2016). Community practice at a crossroad: the approaches and challenges in Taiwan. Community Development Journal. 52 (1), 76-91. Bum-Ochir, D (2018). Mongolia. In Ogawa A (Ed). Routledge Handbook of Civil Society in Asia, Routlege, NY: USA, pp.95-109. Kamata T, Reichert, J, Tsevermig, T, Kin, Y, Sedgewick, B. (2010). Managing Urban Expansion in Mongolia. The International Bank for Reconstruction and the World Bank, Washington DC: USA. Lkhamsuren Kh, Choijiljav Ts, Budbazar E, Vanchinkhuu S., Blanc DC, Grundy J (2012) Taking action on the social determinants of health: Improving health access for the urban poor in Mongolia. Journal for Equity in Health. 11(15), 1-15. Theunissen, T (2014) Poverty, Inequality and the negative effects of Mongolia’s economic downturn. The Asia Foundation. Retrieved from http://asiafoundation.org/2014/06/25/poverty-inequality-and-the-negative-effects-of-mongolias-economic-downturn/. Accessed 27 August 2017. Kusago T, Hirata, Sh. (2016). The evolutionary path of the 21st Hyogo Long-term Vision Project in Japan: community development, resilience, and well-being. Community Development Journal, 52 (1), 160-170. Bayarsaikhan, A (2017). Where do you dwell? Neighborhood as a determinant of school attendance in Ulaanbaatar, Mongolia. Journal of Education and Social Policy. 4 (4): 32-41. Leipold B, Greve, W. (2009) Resilience: A conceptual bridge between coping and development. European Psychologist, 14 (1): 40-50.